Like the majority of bipolar people, I’ve abused my body for most of my life, poisoning both my body and my mind by adopting a diet with all the balance of a one-legged ballerina. Possibly as a result of that, my body has not reacted well to some bipolar medications, inspiring me to investigate ways of balancing my current medication regime with a more homeopathic, nutritional approach. Whereas I have taken the slow coach to learning how to reduce the worst of my bipolar symptoms nutritionally, I hope this article offers bipolar readers a fast track to future wellbeing. In the past, my relationship with food has been highly dysfunctional. During mania, or hypo-mania (I have experienced both the severe and milder forms of mania), the very last thing I’m able to do is eat sensibly, or often remember to eat at all. Possessing the attention span to follow a recipe is a Mensa qualifying challenge, doomed to failure. My overactive mind means I’m 110% more likely to become distracted, leaving food to be cremated in the oven, over-boil on the hob or accidentally burn the house down. When I’m depressed, unless food is handed to me on a plate (literally) I can barely muster the motivation to manage a trip to the toaster, preferring to order junk food in or wait until the wee hours, when my chances of bumping into anyone I know are remote, before creeping out my flat like a thief in the night and ransacking the nearest 24-hour fast food joint. So that basically covers my attitude – and possibly yours – to ‘nutrition’ during the extremes of bipolarity. I was a nutritionist’s worst nightmare. My diet consisted of total crap, which only served to make more manic, more depressed or bounce back to the other extreme. 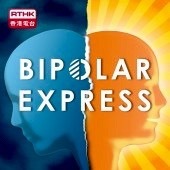 My journey on the Bipolar Express was agonizingly stop-start. I was either traveling faster than the Hogwarts Express or barely moving at all. Either way, I was heading for a crash. But for me, and for all straightforwardly complicated bipolar psyches, there are plenty of periods, between the extremes of bipolarity, when we are functioning ‘normally’, or at least not poised to leap off a precipice – either because we’re convinced of the futility of our lives, or because we’ve somehow managed to convince ourselves we can fly. And so my advice to you is to use these refreshing periods of relative mood normalcy to get cooking! Be shrewd. Freeze your healthy mood food in one-meal packages. That way, the next time you are feeling manic or depressed and unable to cope with the daily chores of supermarket shopping, cooking and getting dressed, a trip to the fridge to thaw out a ready-prepared home cooked meal that is guaranteed to improve your mood, is much easier – and therefore more appealing – than a trip to Mickey D’s, or indeed, Gourmet Burger Union (same old horse intestines, different price and a pickled gherkin). If you don’t happen to have a pre-prepared healthy meal waiting in your freezer but can spot your triggers for an extreme mood state from researching your own condition, call your mum/ boyfriend/ wife/ friend… and ask if they can follow one of the simple recipes in this book to cook you a delicious, nutritious meal that is 100% guaranteed to stabilize your mood. I know my mum/ sister/ friends/ dog would much rather pop to my place to cook me a nutritious meal than helplessly watch me spiral into another extreme mood state. After all, our disorder affects their wellbeing almost as much as it affects ours. This article does not provide a miracle cure for bipolar disorder, or any other mental illness. Don’t read this article and automatically assume that you know more about your mood disorder than your shrink does. 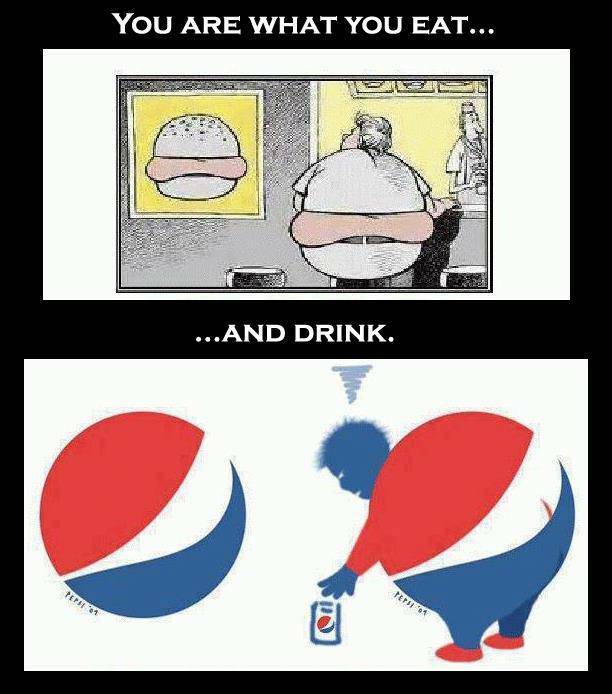 Don’t flush your meds away thinking that you can heal yourself, by yourself, simply through diet. That really is crazy! At the same time, take the information in this article seriously. The recipes included in this our Recipe section use foods that a broad consensus of experts claim diminishes the symptoms of bipolar disorder. And that can only be a good thing, not just for us, but also for our long-suffering families and friends, right? Also, and at the risk of stating the bleeding obvious, the medication we’re given to reduce the effects of bipolar disorder is mega strong stuff! It’s especially important not to neglect our physical health when we’re taking mega strong medications to stabilize our mental health. Physical health and mental health are more closely entwined than I, for one, previously thought. Whether we like our body or don’t like our body, it’s the only one we’re going to get, so it’s important to treat it with the kindness and respect it deserves. A staggering 40% of the world’s population will suffer from some form of mental illness and experts believe that figure is rising. Simply put, that means your beloved son/ daughter/ niece/ nephew could develop a serious mental illness or mood disorder. With that in mind, it’s my belief that we all have a responsibility to protect our kids and future generations by adopting a healthy diet and lifestyle ourselves.